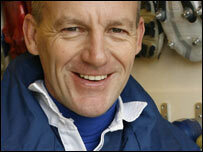 Reading boss Steve Coppell has been named the Premiership's manager of the month for November. Coppell previously won the award in September having led Reading to their first season in the top-flight. Jim Hytner, from the Barclays Awards Panel, said: "Coppell's second award in three months shows he and his club really are at the top of their game." Reading recovered from a defeat by Liverpool to beat Tottenham, Charlton and Fulham in November.